"My name is Jamie, I'm from Holy Family Parish in Kansas City, MO. My cursillo was #241, September, 2010 and I sat at St. Peter's Table." That sentence was repeated by me several times this weekend as I was at the Sisters of St. Francis Retreat Center on my Cursillo weekend. How was it? I hated every moment of it . . . . until I was home. Once I was home and unpacked I realized how much I had gotten out of it. The reasons I didn't like it really had nothing to do with the Cursillo itself--it was more personal. I had only had one day off for the last two weeks prior to attending. I had no idea what to expect. I didn't want to be there. I had spiritual battles going on already before I went there so really . . . the only place I wanted to be was at home. This morning when I awoke, I realized how glad I was that I went. I think I would describe a Cursillo as sort of a spiritual boot camp. Thursday night everyone came in, kind of nervous because we didn't know anyone and we didn't know what to expect. The first day you look at yourself and for me that really broke me down. The next day I was build back up and on they third day I was sure I could go out and be the next St. Paul on my "forth day." During the Cursillo you learn how to use a three prong approach of piety, study and apostolic action in order to become saints for ourselves and to go out and win souls for the Kingdom of God. Another thing I learned is that I really need to involve God in more things in my life and go to him in prayer more often. I'm horrible in prayer anyway so thinking about calling on the Holy Spirit prior to doing things is kind of abstract for me. It seems rather fooling though, not to ask him to guide you when dealing with difficult situations or difficult decisions. Why wouldn't you want to involve the designer of the universe prior to designing your kitchen? Before you go in to have have that personal discussion with someone who works for you, shouldn't you ask He who knows the heart of everyone for guidance. I realized my purpose for being there when I realized how much they were talking about friends, how important they are and how we should help our friends get to Jesus. Well, one of my prayers is that the Lord help me to be like the friends of the paralytic who carried their friend to Jesus. I don't think God has great aspirations for me. I'm a simple husband, father and friend but my life's biggest goal is to make sure I get my friends to heaven. And I realized that the thing is I can't give what I don't have so I can't give my friends the Holy Spirit is I don't have the Holy Spirit in me. I need to work on that aspect so that I can lead my friends to God. 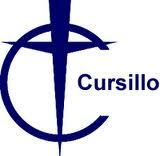 I would highly recommend anyone attend a Cursillo weekend, and I AM going to attend my closest friends and family to attend one. Oh yeah, I almost forgot . . . . DE COLORES!!!! De Colores!!! I am glad you have a great weekend.